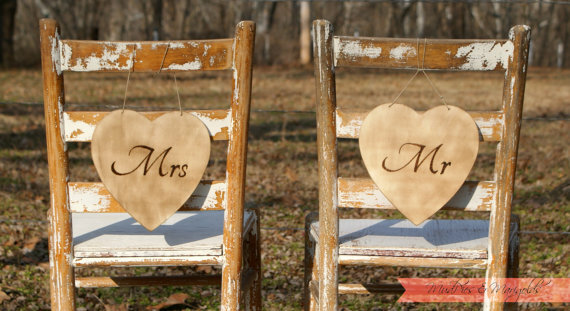 Before you become Mr. & Mrs., there is a lot of planning that needs to be done. No matter how experienced at planning you may be, planning your own wedding can be an emotional roller coaster. Vendors, venues, and all those little details…. it can be overwhelming at times. For this reason, I thought I’d give you some “do’s” and “don’ts” of wedding planning. Maybe I can save you from a few wedding planning woes. Send save-the-date card. This is an important step that a lot of brides overlook. Sending save-the-dates help in the planning process of your guests, especially if you’re having a destination wedding, or if most of your guests need to travel to get to your wedding. This will increase the number of guests that will respond “yes” to your invitation. Make sure you sign a contract with all your vendors. A well written contract will protect your interests as well as those of the vendors. Make sure every detail is clearly stated in the contract. Don’t assume anything. Get it in writing. If a vendor just wants to have a verbal agreement, RUN AWAY!! Go watch a performance of your band. If you liked the 12 piece band you saw at another event, but can only afford the 6 piece version of that band, make sure you make the time to go listen to what the 6 piece version sounds like. You don’t want to be disappointed on the day of your wedding. Guarantee the lowest guest count possible. You will never be contractually obligated to pay for more people than you can guarantee. You can always add more later. Do your homework. Research vendors and anyone you are considering to hire. Work only with the vendors who will take care you. Good vendor will be more than happy to provide you with references of happy clients. Don’t be afraid to ask. Don’t send save-the-dates via email or evites. These do not count as save-the-dates. Always send them through the postal service. Don’t over-invite. On average, you can expect 80% of your guests to attend your wedding. More people means more money. Don’t invite couples you’re not close to anymore just because you went to their wedding. I’m sure they will understand. Don’t take a huge entourage with you to shop for a gown. Bringing all your friends may sound like a lot of fun, but the pressure of pleasing everyone may leave you frustrated, exhausted, and maybe even without a dress. Take just a few people with you. And make sure to remember that it is YOU who needs to feel beautiful in the dress, not them. Don’t get a facial on your wedding day. You never know how your skin is going to react to products and procedures you don’t do everyday. And with all the extra emotions, hormones, adrenaline, and nerves, going through your body that day, you could have an adverse reaction that will be very difficult to hide. Plan your facial a day or two before the wedding. Don’t have just one style of music during the reception. As much as you and your groom love the Rolling Stones, not everyone is into them. Keeping the music varied will appeal to more of your guests, and encourage them to get up and dance. Always remember that there are people who care about you that are wanting to help. Don’t take on all the planning yourself. Accept the help that’s offered and delegate tasks to your bridal party. This will help keep you sane during the planning process.